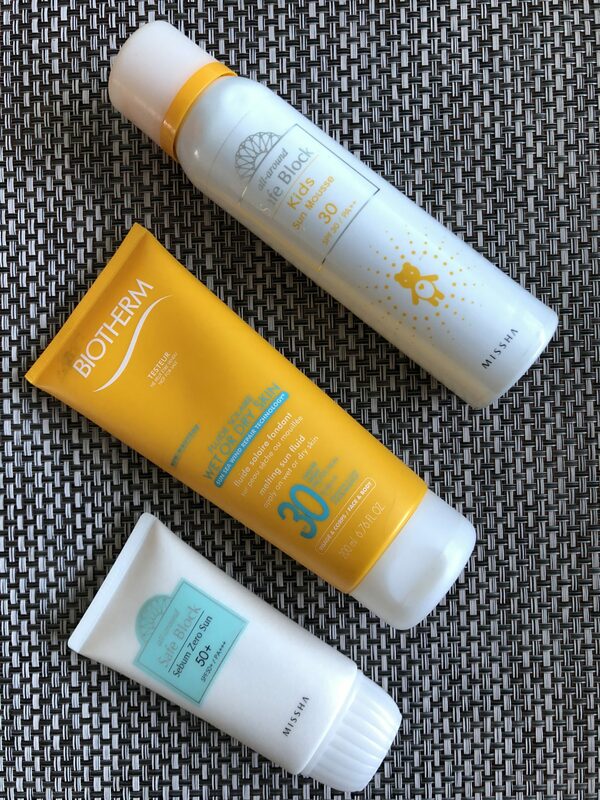 Today’s post is a quick sum-up of my most used sunscreen this summer. And yes, one of them is a baby product which I found works amazing on my baby and me both so I just use the same product on myself when we go out for a stroll. I feel that all three products are well worth mentioning. 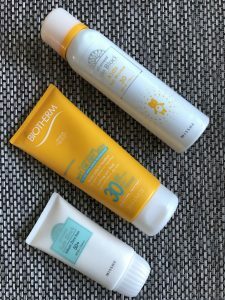 It is possible for me to start comparing hundreds of sun care products and come with a top 10 but to mee it seems like it is a big overkill on the topic. 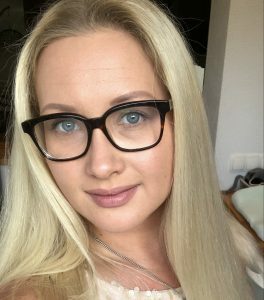 I found three products that work for me and I want to share them with you because I am convinced you would like an honest review on things as they are. This sunscreen is designed for your face and does an amazing job at protecting oily skin from harmful UV rays and scorching sun. 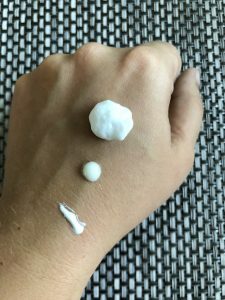 By the time I tried it I lost all the hope in finding a good quality sunscreen that would not be responsible for my make-up gliding off my face like a melted ice-cream. It was a blind buy that I’ve repurchased twice this year already and I’m almost out of this tube. I have oily skin and the Sebum Zero formulation does excellent things for my skin. 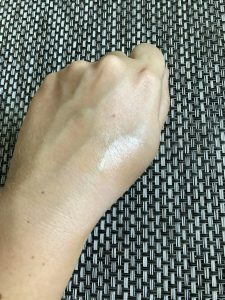 It does leave a light white’ish cast on my skin which is not a problem since my make-up applies like a magnet over it. Downsides: not waterproof. LOVE! LOVE! LOVE! Another blind buy that landed to my list of favorites! I use it whenever I go for a walk with my daughter and seeing the latest weather it is pretty much daily. I initially bought it for my babygirl and once I saw how easily it goes on I started using it on myself. Once you push on the dispenser you see a foamy solution that is easily absorbed by the skin and leaves no sticky nor white residue. 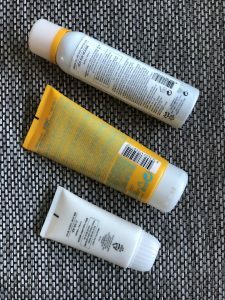 What made me fall in love with this particular product is that I do not get any yellow stains from this sunscreen om my white clothes. Plus it dries matte! It may seem expensive but it lasts you forever and the scent on this one is very light and fresh. Out of 3 products this is so far my favorite. I used it on my face too and worked pretty well on me. Downsides: not waterproof. This sunscreen is my holy grail for going onto vacations that involve aquatic activities. Waterpark, beach, pool, you name it. It can be applied over wet and dry skin and provides an amazing protection. Ii is very easy to spread out over your skin and is not easily washed off even by the salty and chlorinated water. Not sure if it comes in other SPF other than 30. I’ve used in my trip to Cape Verde (not too far from the equatorial line) and it was plenty for my skin not to be baked alive. On the opposite I was left with a nice bronzy glow 🙂 Downside: leaves a oily-type finish on your skin so careful with wearing clothes over it. If you are picky about your sunscreen, the above mentioned products are definitely worth trying out. Each of them has a easy and fast application, they offer a great protection and all of them are extremely simple in use.